It is my dream to have the most fantastic Golf Academy in Spain and Europe. I want my team and i to ensure that the Golf Tuition we provide to our students is professionals and long lasting. Golf Putting Tuition in Spain will be offered by my team and i to every person who needs help and improvement, be they professional or amateur. Golf Lessons in Spain are offered by numerous golf teachers but i ensure we offer the best Golf tuition in Spain and Europe. 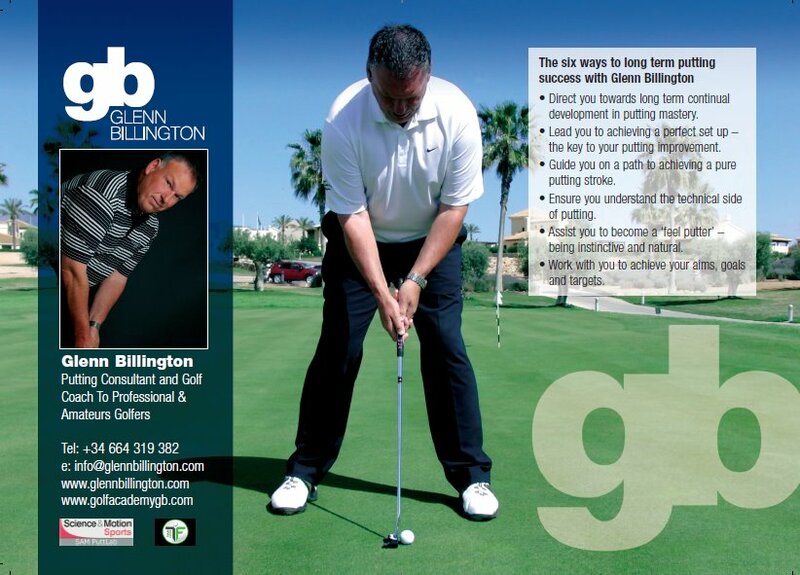 Golf Putting Instruction is paramount to all players, 50 per cent of your game can be putts, lower that and your scores will improve – so why not Improve your putting in Spain, in the sunshine? Golf Coaching in Spain is rewarding and the opportunities to spend time in the warmth for pre-season training or even improving your game is fantastic. Putting coaching and putting tuition will be the best instruction you have ever received and the one where it is long term and guaranteed to improve your game.